Included in the kit is a 5-inch flat round brush. 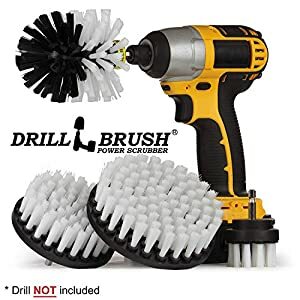 Tackle large areas like Tonneau covers, large area carpets, or boat hulls quickly with this larger brush. The 4-inch flat brush is also handy for bigger areas.